Tiger's Eye series features a blend of oval and rectangular construction and moulded armrests. Soft surround curves of the interior provide soothing comfort. The narrow width of bathtubs' edge adds additional space. Drop-in installation. Tub is pre-levelled for easy installation. The compact De Longhi Capsule 1500W Ceramic Heater delivers fast, direct heat in smaller spaces. Its ergonomic handle makes it easy to carry from room to room, and the sturdy folding base gives it maximum stability. Stylish and available in contemporary colors, the Capsule will complement any décor. Dimplex electric convection heaters provide quiet even heat, with no moving parts and utilize natural airflow to distribute heat evenly throughout rooms. The built-in electronic thermostat helps save on operating costs and the smooth, sleek panel design fits virtually any rooms dicor. The unit also features detachable wall mount brackets, which allow for quick installation. The revolutionary Dimplex smart baseboard heater features a built-in electronic thermostat with heat proportioning for improved efficiency and reduced energy consumption. Equipped with CONNEX RF technology, this baseboard can be controlled wirelessly from a distance using one of the Dimplex CONNEX controllers (not included). Its small size permits more flexibility and versatility for room layout and furniture placement. The shark fin blade design allows for top heat discharge improving performance and product life. The panel convection heater moves warm air quickly and evenly without a fan for silent, convection heating. The unique tilt forward feature allows for easy access to the wall behind for cleaning. This classic design will blend with any dicor in your family, living room, bedroom or office. This unit was designed for use with a wall thermostat, ideal for retrofit applications. This product is discontinued with limited models still available. 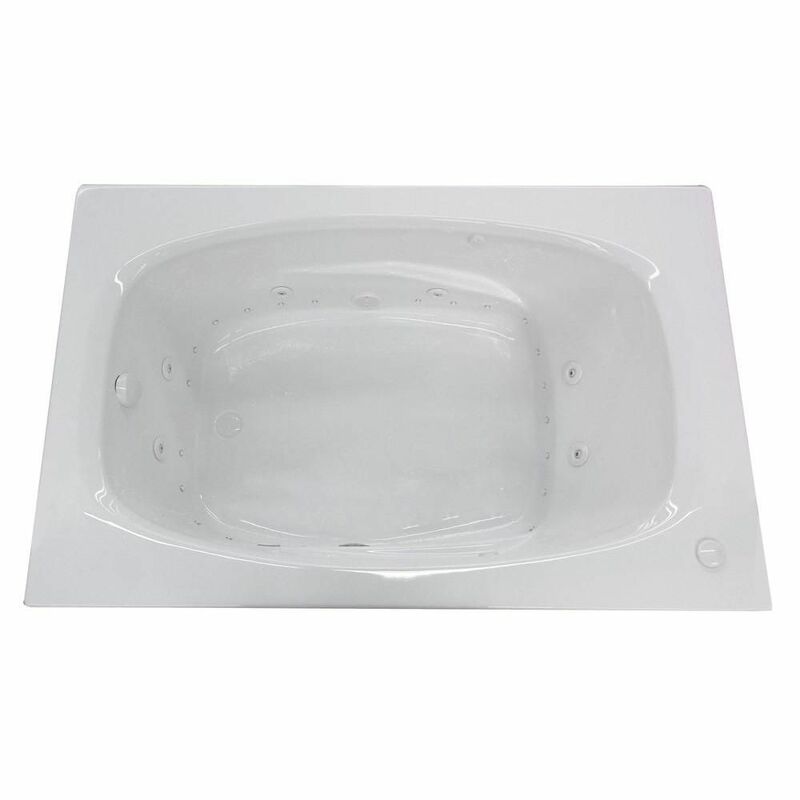 Tiger's Eye 5 ft. 6-Inch Acrylic Drop-in Left Drain Rectangular Whirlpool Bathtub Aromatherapy Friction Heater in White Tiger's Eye series features a blend of oval and rectangular construction and moulded armrests. Soft surround curves of the interior provide soothing comfort. The narrow width of bathtubs' edge adds additional space.